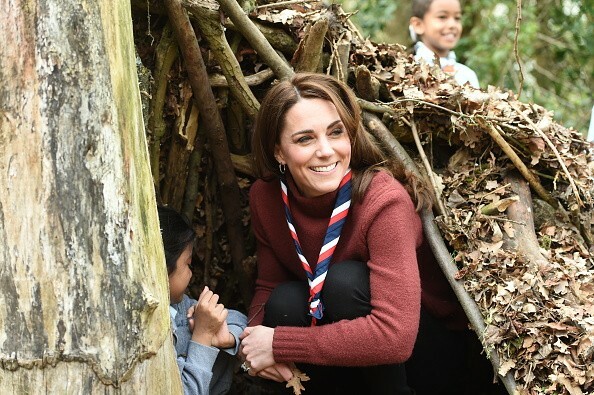 Queen Elizabeth II reportedly urged Kate Middleton to abandon her group, The Sisterhood, amid a risqué photoshoot that was being done to benefit some charities. Kate was encouraged by her peers to pose naked for a calendar at that time. According to Express, Kate had just split from Prince William at that time and she wanted to keep herself busy, that’s why she signed up for a charity challenge with an all-female dragon boat team. Months later, the Duke and Duchess of Cambridge got back together. Kate’s time with The Sisterhood was short-lived. After signing up in April, she left the team in August following the advice of Her Majesty. The Queen reportedly thought that the spectacle surrounding the training sessions was already getting out of hand, and she also feared the consequences that Kate might suffer due to all of the exposure she’s been receiving. The Queen’s worries for Kate were actually justified because there came a point wherein the members of The Sisterhood encouraged the mom of three to pose for a charity calendar in only her underwear, baseball cap and body paint. According to Kate’s friend and former teammate, the Duchess of Cambridge considered posing for the publication. “Kate is strongly considering it — we are all leaning on her a bit,” Emma Sayle said. “We realized that if Kate was involved, sales of our Art Of Sport calendar would go through the roof,” she added. However, Prince William’s wife was advised by the royal family to not pose for the calendar. The photos of Kate’s teammates covered in body paint and in just their underwear, which were taken by photographer M.J. Kim, were still released. The money raised from the calendar were donated to two charities, namely, Babies in Arms, which sponsors research into abnormalities in newborn babies, and Chase Ben Hollioake Fund, a children’s charity hospice that was set up in the memory of a former England cricketer who died in a road accident years ago. In related news, Kate was also asked to pose in risqué clothing while she was still studying at St. Andrews. At that time, the duchess agreed to walk on a fashion show in just her black underwear and see-through dress.